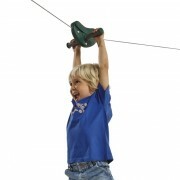 Zip lines are a fantastic and fun outdoor play equipment item that will keep kids entertained for hours. 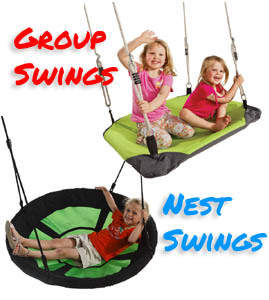 The zip lines are a great play item for children whom need both proprioceptive and vestibular input. Zip lines are great for building upper body strength and muscle endurance, as they glide through the air on the funniest play equipment piece in your backyard. Zip Line Red with Disc Swing..